I have been working with the Lastolite HiLite for some time now and have fielded a lot of questions about it. In my opinion, the HiLite is one of the essential pieces of kit for photographers who need portability. Let me start by saying that I am a vertically challenged (5′ 4″ tall) woman who needs to be very careful about what kit I can handle. This was a big concern when I considered buying the HiLite. Especially one that is 6′ by 7′! I decided to bite the bullet and go for it anyway. I am glad I did because it is one of the best investments I have ever made. 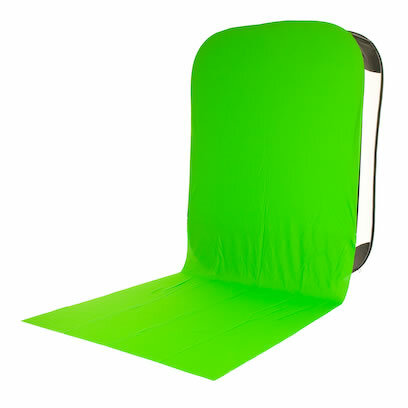 The HiLite is a collapsible background that is illuminated using strobes. Four small rods connect to the corners that expand the HiLite and allow it to stand on its own. 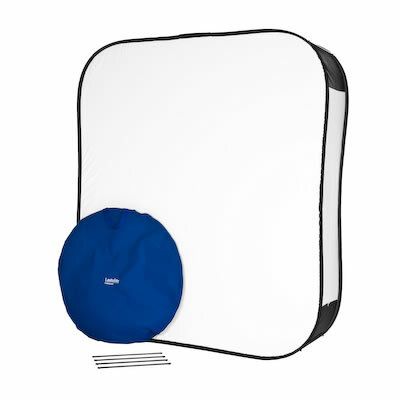 Although the HiLite opens to 6′ x 7′, when folded it packs into a circular bag 3′ in diameter. More than manageable to carry and store. The storage bag provided is extremely sturdy. One issue I have with the storage of the HiLite is the lack of a container for the rods. To leave the rods loose in the bag is a recipe for disaster. Instead, I wrap them in plastic so they don’t puncture the HiLite. It would be nice if Lastolite addressed this. Unpacking the HiLite for the first time is a bit intimidating. I was worried about how it would spring open. Thankfully, I opened it slowly and it was no problem. Although it is a portable system, there must be enough room for the HiLite to lay on the floor after opening. If used in someone’s home or office, make sure that there will be enough clearance so nothing gets damaged. The HiLite is an absolute pleasure to use. It is extremely light and easy to reposition. Since it is illuminated, subjects can stand very close without shadows showing up on the background. The true test came when I collapsed the HiLite for the first time. Since I am relatively short, I decided it would be best to use the base of a couch as leverage (youtube video). I managed to collapse it on the second try. It now takes me about five seconds. For those that are struggling, my best advice is to work smarter – not harder. It takes very little energy/strength to collapse the HiLite. If you are breaking a sweat, your technique is not correct. Review videos to learn how to do it effortlessly. Lastolite also provides accessories for the HiLite. A series of “trains” allows photographers to shoot portraits with coloured backgrounds and chromakey colours (blue and green). These trains attach to the HiLite via velcro and are very easy to install. The one issue I found with the trains was their length. Although subjects are able to stand very close to the background, there will be times when they will need to be set back from it a bit. If the trains were two or three feet longer, it would allow for this flexibility. In a pinch, extra background sheeting or fabric can be used. Lighting the HiLite is very easy. There are many different opinions about how to light the HiLite. I prefer to use speedlites (Canon 580 EX). Depending on the size of my subject, I will use one or two speedlites. Basic headshots only require one at full power. Two are sometimes used if I am concerned about recycle times. Keep in mind that without enough light, the HiLite will not produce perfect high key backgrounds and you will need to address this in post processing. For those who want to use continuous lighting gear there are a number of options. 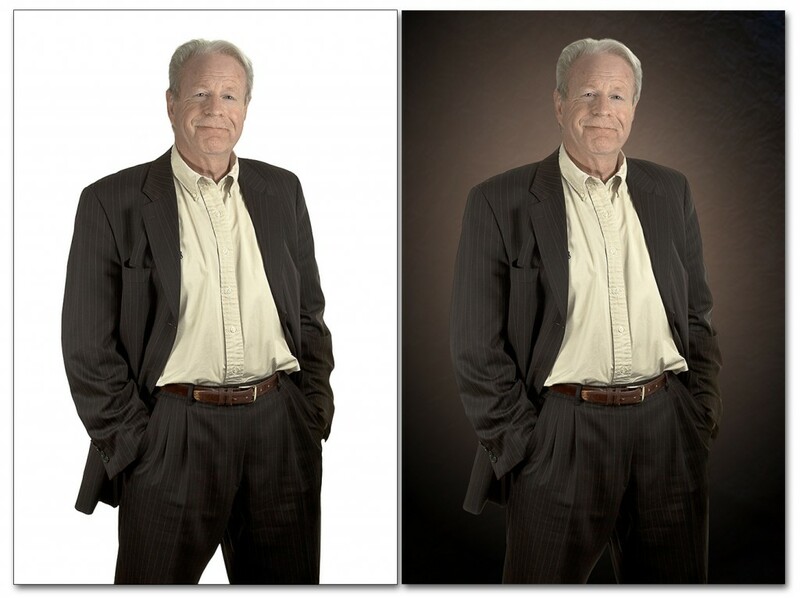 I have heard good things about the Elinchrom D Lites. High key portraits are very popular right now. But there are times when I still want to use traditional coloured backgrounds. This is extremely easy using the HiLite. Since the background is completely clean and white, I can easily change backgrounds during post processing. This is one of the best pieces of kit I own. I would recommend it to any portrait photographer. I no longer have to lug out my background stands, fabric, or paper in order to set up for a session. The HiLite is a big investment, but well worth every penny. For more information, visit the Lastolite website.